Multiport fitting for rerouting or combining flow streams. Available for use with 360um OD capillary (C360-203/A), 1/32" OD tubing (T132-203/A), or 1/16" OD tubing (T116-203) via CapTite one-piece fitting (not included). 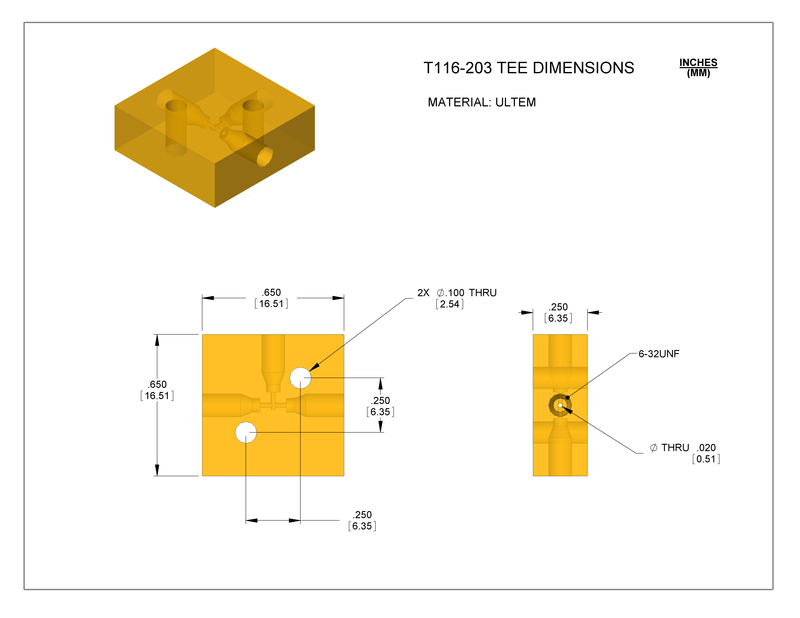 Material: Ultem® or Acrylic (part numbers ending in 'A' are Acrylic). Can be mounted to LabSmith breadboard. 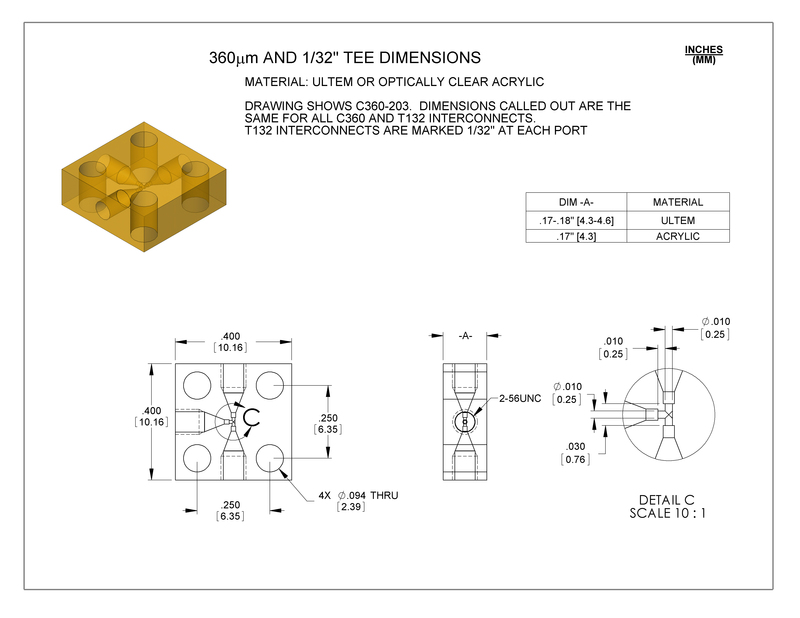 View C360-203/T132-203 drawing or T116-203 drawing.